One Edmonton woman is tackling graffiti in her west Edmonton neighbourhood by removing the unwanted tagging sometimes two or three times a week. Cathy Backewich wasn't always known as the "Graffiti Granny" of her Callingwood North neighbourhood. 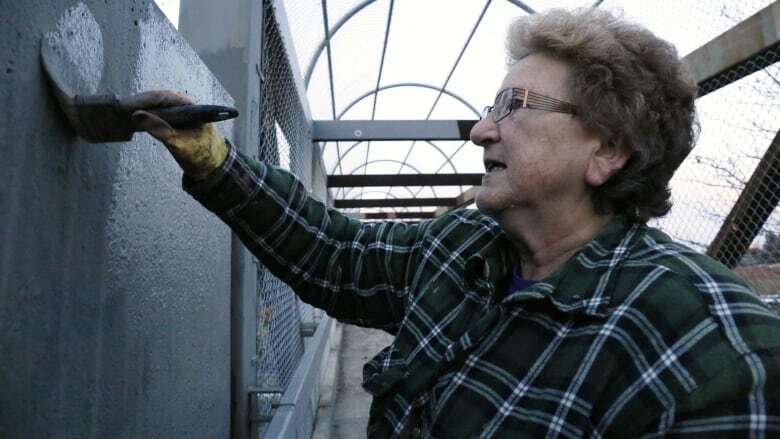 She earned the nickname after it was spray-painted, along with profanities, onto the Whitemud Drive sound barrier walls in west Edmonton, a day after she and her partner cleaned the walls of graffiti tags. And instead of being deterred, she decided to embrace the moniker. "We knew then that I was getting to the kids," Backewich told CBC's Radio Active Monday. "Anybody that takes on a granny, you know who's going to win the battle." Backewich has made waves in the west Edmonton community over the last four years, thanks to her active role in cleaning up graffiti from public spaces. Paintbrush in hand, the 59-year-old can be spotted up to three times a week cleaning up the sound barriers along Whitemud Drive or the bridge over the Whitemud in the Callingwood area. "It took us sometimes up to three to four hours, depending on how much of the sound barrier wall was covered," she said. "But in the back of our minds, we knew we were doing the right thing." Her volunteer efforts have resulted in some visible changes in the neighbourhood. After about six months of removing unwanted street art, Backewich estimates she, along with the help of friends, reduced tagging in the area by 80 per cent. Over the last four years, she's removed almost 14,400 square feet of graffiti from public spaces. "It's a lot of graffiti," she said. Capital City Clean Up, the city's graffiti prevention program, provides Backewich with the paintbrushes and paint to cover up unwanted street art in public areas. It's hard to estimate how much money she has saved taxpayers by taking on the clean-up herself, but city officials said her dedication to the cause is appreciated. "When you think about the sheer volume coming from one individual, even if she has a few people helping her, it's phenomenal," said Don Belanger, Capital City Clean Up program manager. Unwanted tagging continues to be a problem in the city, added Belanger. The most recent numbers, from a 2017 graffiti audit, show there were 405 locations of vandalism, an 11-per-cent increase from 2016. No audit is planned for this year but Belanger said this year's graffiti incidences are similar to 2017 figures. "We want to see it go down," he said. 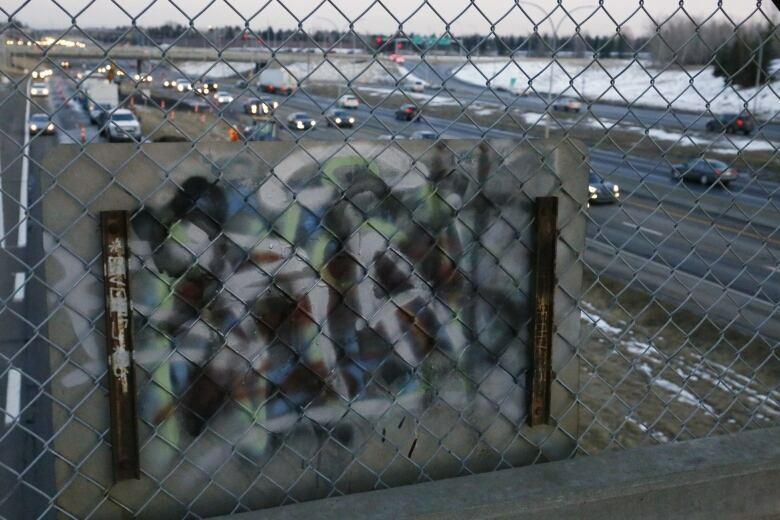 A city website says tagging makes up 94 per cent of graffiti in Edmonton. But people like Backewich are making a difference to alleviate some of the unwanted tagging in their own neighbourhoods, said Belanger. Backewich doesn't plan to hang up her paintbrush soon, but when she does she's confident others in the neighbourhood will step up to keep public spaces clean. "There's other neighbours and there's actually youth in the community that really would get involved in it," she said. "All I have to do is walk down the street and someone will say 'Hey, can I help?' It's a real community thing. It brings people together and brings community together, so that helps all around."